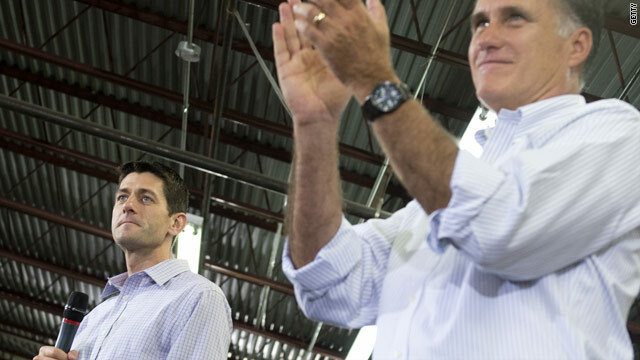 Who ranks higher on the charisma scale, Mitt Romney or Paul Ryan? They looked like two peas in a pod. When Mitt Romney announced Paul Ryan as his running mate Saturday morning, some people thought they were seeing double. Writing for the Daily Beast, Robin Givhan suggests Ryan could easily be mistaken for one of Romney's five sons. She says that the Republican running mates - in their matching white shirts and black pants - lacked dazzle or texture. She describes them as "two white guys defined by political expedience, professional uniforms and perfectly pomaded hair." And it's not just their appearances that are similar. Politico suggests Ryan could just be "Mitt squared." The writers say it's easy to see why Romney - the 65-year-old "numbers nerd" - wanted Ryan - the 42-year-old "budget wonk" - on the ticket with him. Like Romney, Ryan isn't the most exciting speaker. It's possible Romney was looking more for a youthful double of himself than for someone to balance the ticket. Speaking of doubles, consider these two back in high school. In his Janesville, Wisconsin, high school, Ryan was voted "biggest brown noser" by his senior year classmates. He was also the prom king and junior class president, not to mention an athlete and in the Latin club - a pretty well-rounded guy. As for Romney, he attended a boys' prep school in Michigan, the state where his father was governor. According to one classmate, Romney was in the glee club and the pep club and was chairman of the homecoming committee. What he didn't do was play middle linebacker on the football team. 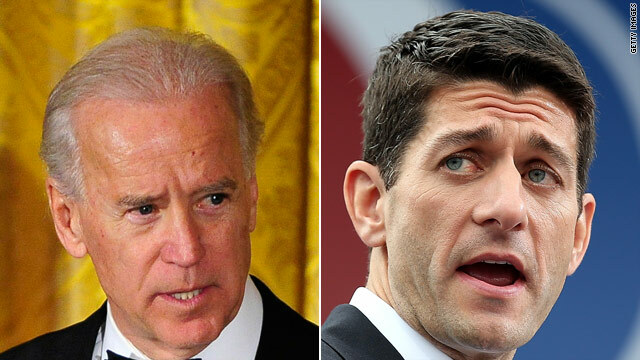 Here's my question to you: Who ranks higher on the charisma scale, Mitt Romney or Paul Ryan? 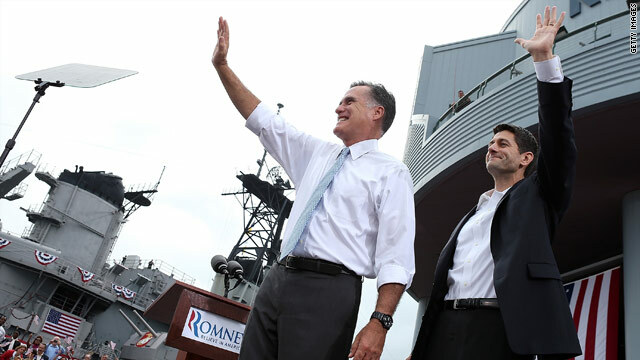 How much will Paul Ryan help Mitt Romney's chances of winning? Mitt Romney went "bold"... doing what many conservatives wanted him to do in naming Paul Ryan as his running mate. Many view the Ryan pick as a game-changing one, with both Republicans and Democrats cheering Romney's choice. But it's yet to be seen if Ryan will make voters more - or less - likely to vote for Romney. Ryan's weaknesses are pretty evident. His budget plan of drastic spending cuts includes significant changes to Social Security and Medicare. Try selling that to elderly voters in Florida. It also gives Democrats ammunition to play on those same voters' fears, that the social programs they rely on could be threatened. Plus, Ryan has virtually no experience in the private sector - just like President Obama. He has spent almost 14 years in Congress - a career politician at a time when America is sick of Washington. But - Romney's selection of Ryan also carries plenty of benefits. For starters, while voters are sick of Washington insiders, they tend to reward politicians who push for real change... see Barack Obama in 2008 or New Jersey's Chris Christie. For Americans who grasp the critical nature of our skyrocketing national debt... now nearing $16 trillion... Ryan has a lot of appeal. And if Mitt Romney is willing to embrace even some of Ryan's ideas... Pres. Obama won't be able to touch the GOP on government spending and deficits. Ryan is also a clear plus for the party's base, many of whom have never really liked Romney. He appeals to crucial independent voters, Catholics and women too. Most importantly, the choice of Ryan signals a clear choice for voters in November. More government versus less government. Runaway national debt versus painful fiscal responsibility. Ryan is a big gamble for Mitt Romney - but it's a bet he almost had to make. Here's my question to you: How much will Paul Ryan help Mitt Romney's chances of winning?